Begin your 4-hour (roughly) Seattle Mansions and Wine Cruise aboard the Rainbird at centrally located Pocock Rowing Center, adjacent to Portage Bay Park featuring easy access and ample parking. Depart amid floating homes, and all manner of watercraft ranging from canoes, sailboats, classic wooden boats, motor boats, to mega yachts. Enjoy a fully narrated tour of Seattle’s iconic sights such as Gasworks Park, Space Needle, Historic Ballard Fishing Community, UW Husky Stadium, and Majestic Mt Rainier. Sip a cold beer or glass of fine Washington wine (or high quality H2o) while gliding under famous old draw bridges and past seaplanes taking off and landing. Mingle with locals enjoying the Lake on paddleboards and kayaks while the light sparkles off Seattle’s many interconnected waterways. Your afternoon cruise begins by heading to the south end of Lake Union where major companies are reshaping our city. We’ll leave the hustle and bustle behind as we set out on our leisurely cruise in the comfort of our beautiful custom and classic wooden yacht, the Rainbird. 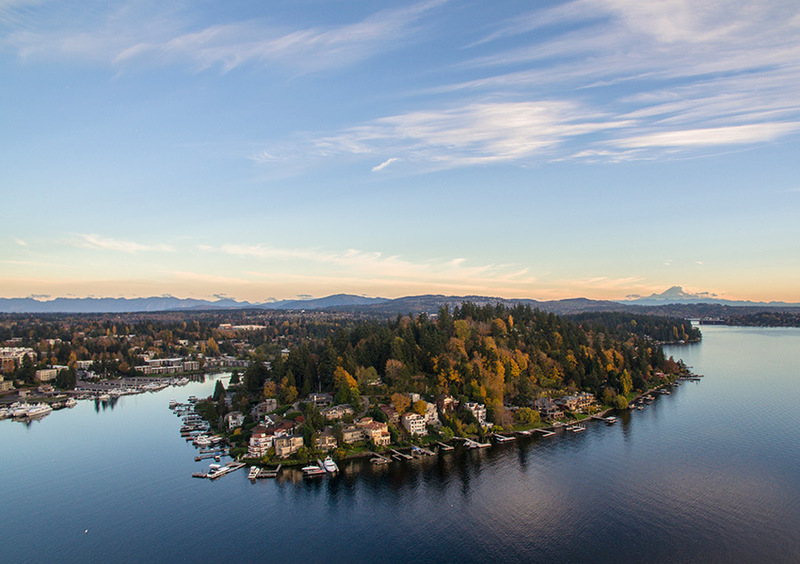 Take in the incredible views of the City and beautiful St. Mark’s Cathedral as we travel east to Portage Bay. On our way through the Montlake Cut to Lake Washington, marvel at Husky Football Stadium, UW Campus, and snowcapped Cascade Mountains in the distance. As we enter Lake Washington on a clear day breathtaking views of Mount Rainier appear. We then travel across the lake to the far shore and into private coves, affording us a close up look at some of Seattle’s most amazing waterfront mansions. These homes feature a myriad of architectural styles and fabulous landscapes – many are home to famous Seattle business owners and celebrities. Upon our return to Lake Union we go through two 100 + year old drawbridges – the Montlake and University Bridges – opening frequently for sailboats and large ships. We’ll see quintessential Seattle floating homes flanking the shores of the lake – including the one featured in the movie “Sleepless in Seattle” and the oldest floating home, built over 115 years ago. Make your experience even better by adding a picnic lunch or early dinner to your cruise. We feature the incredibly delicious hot sandwiches picked up fresh from the bakery at Fisherman’s Terminal – nestled amongst Alaskan fishing vessels, including those featured on “the Deadliest Catch” (hint: ask your Captain about his 10 years in Alaska as a skipper). 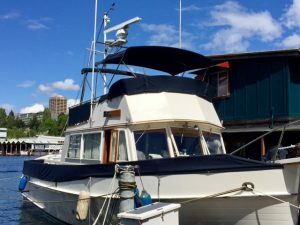 This 4-hour afternoon cruise aboard the Rainbird begins by heading to the south end of Lake Union where major companies are reshaping our city, then continues east through the Montlake Cut to Portage Bay and Lake Washington where you will cruise by Seattle mansions of the rich and famous. Enjoy lively insights and stories by your Captain and host while sipping a glass of Washington wine or a cold beer (or high quality H20).